A new spirit of optimism pervades Hargeisa, as new residential and office buildings are being built on every corner. Hargeisa is located in the north of Somalia and has been recognised as the capital of the de facto independent republic of Somaliland since 1991, which corresponds to the territory of the former British colony. Hargeisa has a population of around 800,000, with some estimates putting the number over one million. In the presence of the Federal Commissioner for Africa, Günter Nooke, a water and sanitation programme was inaugurated on 4 March, which KfW is supporting with FC funds of around EUR 33 million on behalf of the German Federal Ministry for Economic Cooperation and Development (BMZ). 400,000 people will benefit directly from the project. Population growth is high. Adding to this challenge are the many refugees from Eritrea and Yemen who have come to the country in recent years. Many districts are completely undersupplied in terms of water and sanitary facilities. Corresponding networks and facilities are now being expanded or newly built with FC funds. The project-executing agency for the water supply, the Hargeisa Water Agency (HWA), will be supported in introducing tariffs that cover the costs and are socially affordable, and in selecting private water kiosk operators. 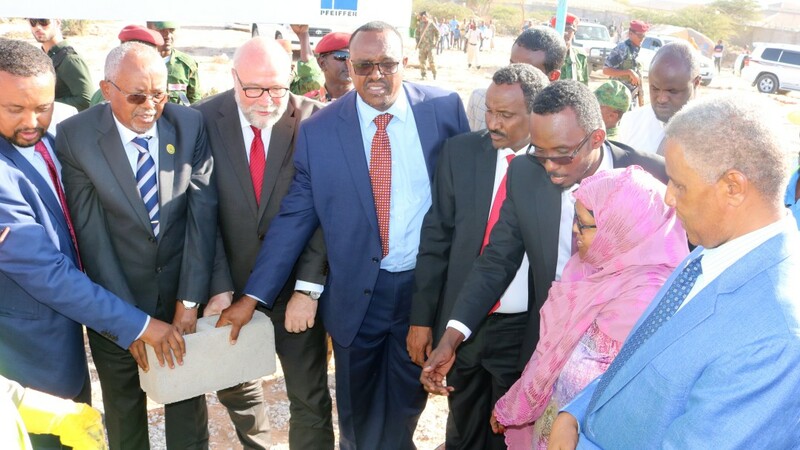 The urban management municipality of Hargeisa, which is responsible for inner-city sanitation, is also contractually involved in the project. 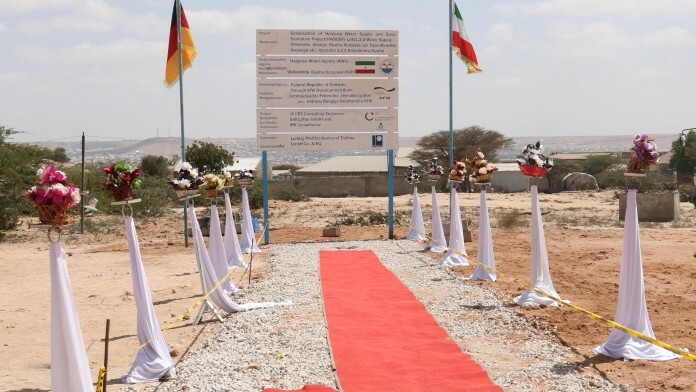 The central importance of the project for Somaliland's development is also illustrated by the fact that the HWA reports directly to the President of Somaliland. Inauguration in a festive atmosphere. In a second component, a concept for sustainable land management in the Hargeisa catchment area is being promoted via the responsible Ministry of Agriculture, including soil and erosion control measures such as earth walls, sickle terraces (small semi-circular stone terraces), rainwater reservoirs and rainwater retention basins. This should increase water retention in the catchment area and at the same time create new prospects for the population living there. In Somaliland, about 85% of the population earn their living from livestock farming. But only three percent of the land area is used for crop production. The first successes of erosion control measures are already visible on site and cooperation with local partners is very promising. Total costs for both components amount to EUR 33 million. In his opening speech, Günter Nooke praised the innovative approach and emphasised both the sustainable character of the project with strong involvement of the local private sector, as well as the fact that KfW succeeded not only in involving the three project partners under a jointly supported concept, but also in closely involving other participating financiers and coordinating appropriate measures. The project enjoys a high level of attention throughout the entire region and serves as a guideline for comparable approaches.